We offer a unique array of gifts and products ranging from over 400 Fragrance Oils, lotion candles as well as bath and body products. Email us for any custom orders! We specialize in unique gifts and products. We make the famous "Lotion Candles" that you burn then apply to your skin. We also sell Lotion tarts & body bars-use the same way as the candles which can be melted or rubbed between your hands. If you need something we dont have listed please email us and ask if we can make it for you. We wholesale and can custom make any products you want. Loves_Creation doesn't have any items in their booth! Lovecross has some of the most wonderful lotion tarts around!!! A wonderful person & seller. Always a pleasure to do business with, always great items and bargains in her booth. She is very quick and friendly in her communications $ fast to ship items. A++++++ Bonanzler here!!! super super sweet to work wiht. she sells quality products at a great price..
continue buying from her. A real asset to Bonanzle! IF I RECOMEND ANYONE THIS IS A TOP SELLER ALWAYS GREAT DEALS. 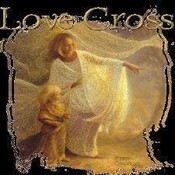 Lovecross is a GREAT person! Honest to the T…so don’t be afraid to deal with her! Awesome products and ships fast!